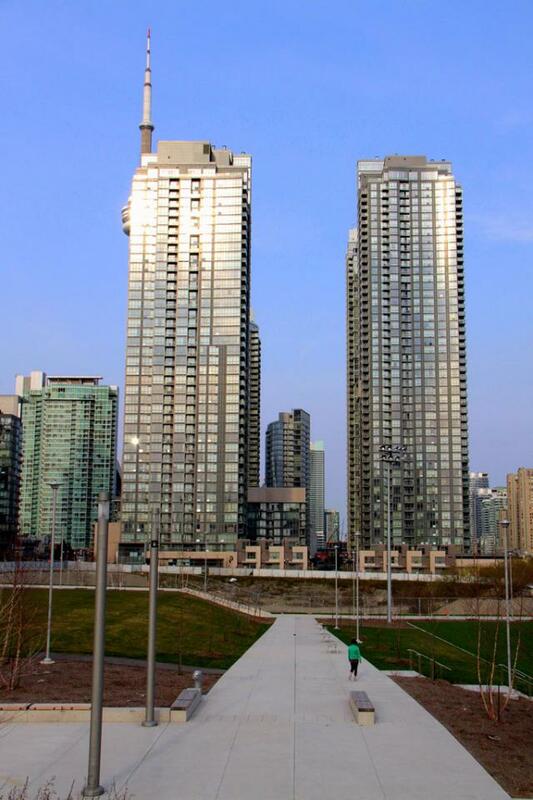 In Toronto, Canada's largest city, population growth is spurning massive residential development which is changing the city's skyline - and literally creating new neighbourhoods. One example is Concord CityPlace, a 44 acre site of former industrial lands in the heart of the downtown core which, since 2003, is being developed as a master planned community that will ultimately be home for 7500 units (5000 units have been constructed thus far). A collection of high-rise glass point towers dispersed across the site in a manner that maximizes the opportunity for light and views, each building differs in its design, though the tall, slender, sleek exteriors reflect a uniformity typical of contemporary city building practices around the globe. As part of the city approvals process, along with allocating 20 acres to green space, this high-rise condominium developer is required to integrate public art into the landscape. Here's a brief review of some of this community and the sculptures, which promote further interactions between people and their environment. 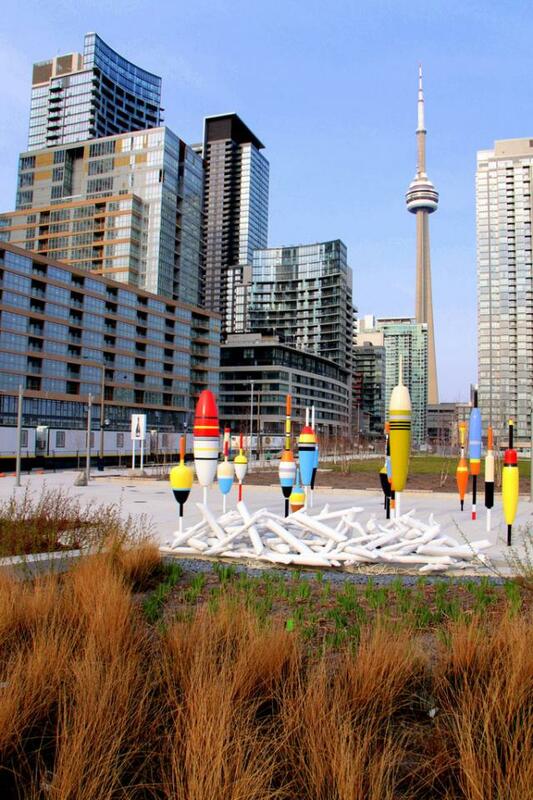 Along with the ground level concourses surrounding several of the high-rise towers which serve the community with shopping and services, the CityPlace landscape program incorporates a series of parks, including a large 8 acre parcel called Canoe Landing Park. 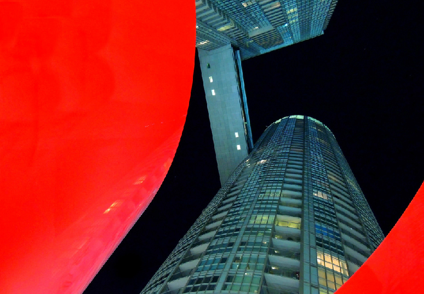 Despite the ubiquitous facades, CityPlace features more memorable aesthetics in the numerous public art sculptures which, with their bold striking forms and colours, add a sense of vibrancy to an urban landscape that might otherwise be considered banal. 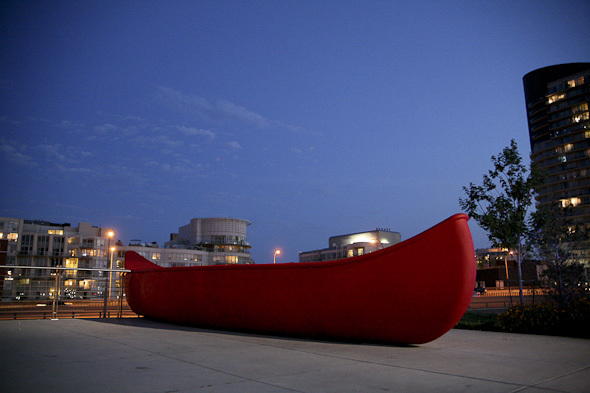 Oversized fishing bobbers, a giant red canoe, and an enlarged sculptural beaver dam created by Canadian artist Douglas Coupland communicate a narrative about Toronto’s waterfront which is in proximity to CityPlace. 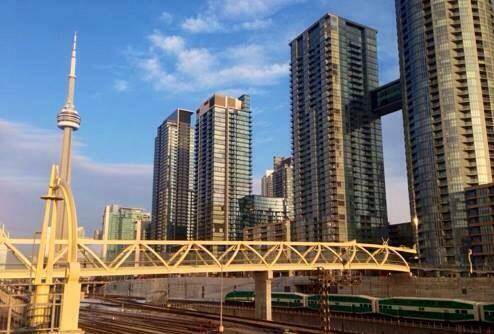 Implementing art into CityPlace’s public realm contributes to beautifying Toronto’s urban landscape. 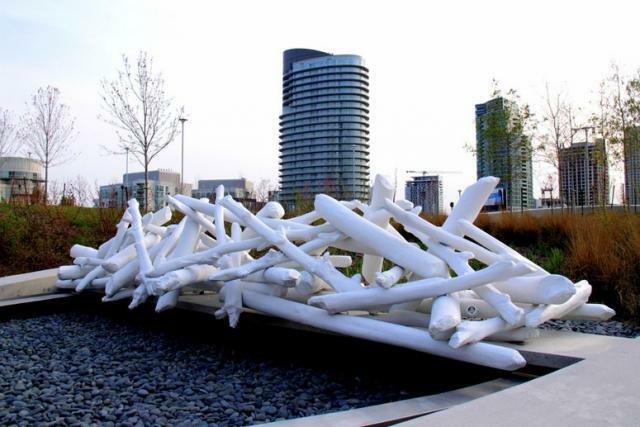 So far, a total of fifteen public art installations are in CityPlace. I certainly wouldn’t mind enjoying this kind of Art in my daily life! Would you? Researched and written by Sanaz Daliri, alumna of the University of Toronto, Daniels Faculty of Architecture, Landscape and Design.